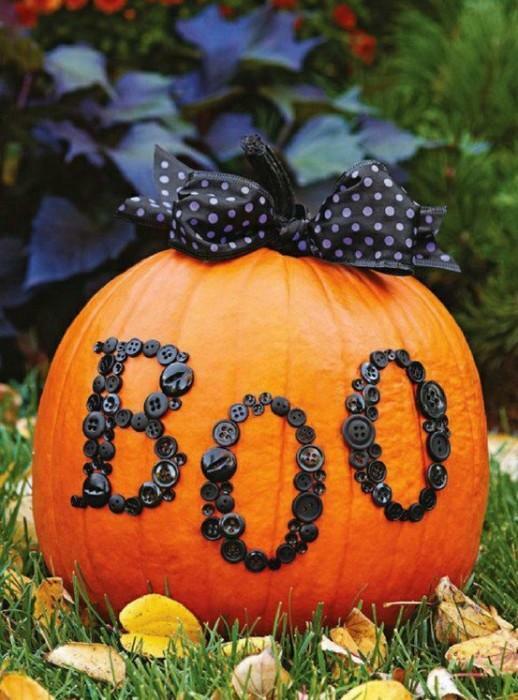 Halloween Eye Candy: Pumkin – Palooza! It’s here! 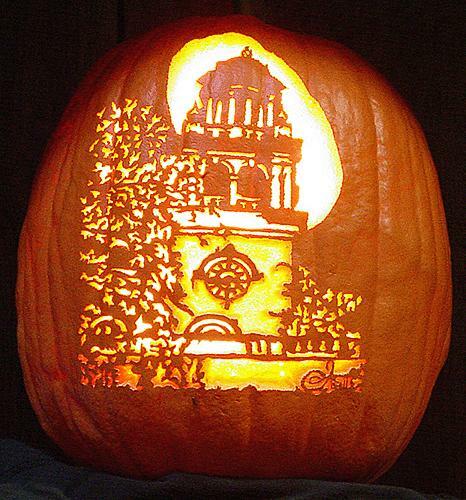 Pumpkin carving weekend! 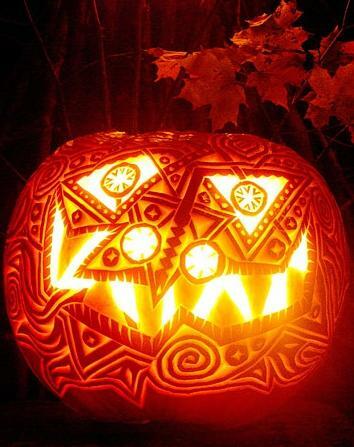 We always carve our pumpkins the weekend before Halloween. 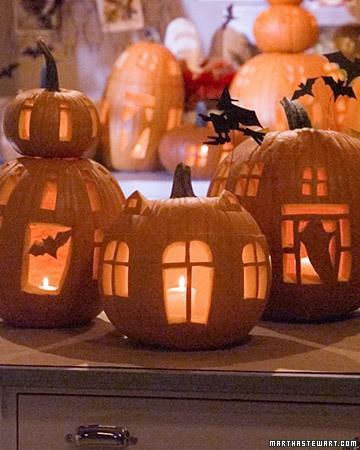 I like being able to spend the family time on a weekend when we are not so hurried, but I never like to carve the pumpkins too far in advance. 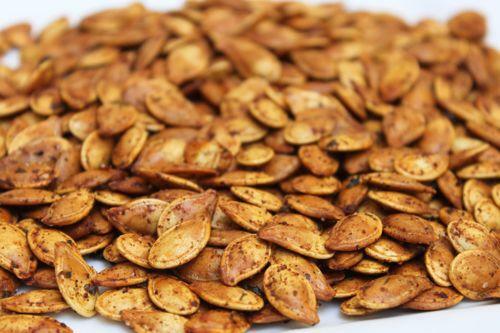 It is also the weekend when we get to eat one of our favorite treats – roasted pumpkin seeds so I have included my husband’s super yummy recipe! As mom’s gear up for a fun but crazy weekend I thought a little bit of inspiration might be in order – so grab a mug of hot cider and take a moment for yourself! 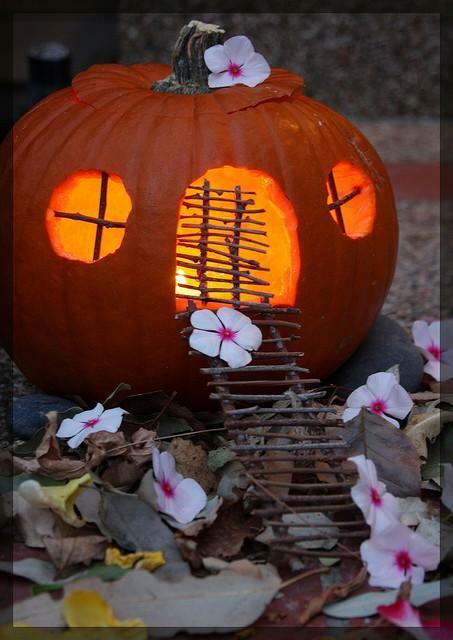 A darling halloween town from Pinterest! I might have to try this. 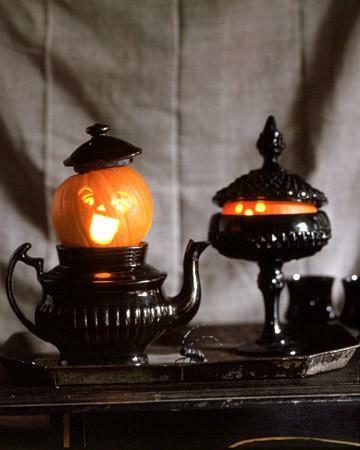 I love the whimsey of this Martha Stewart vignette! it reminds me of an enchanted castle like in Beauty and the Beast. 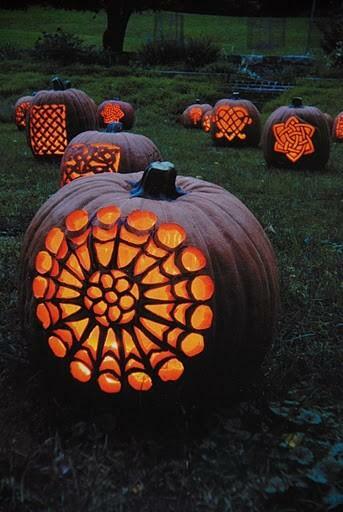 A fanciful version of your basic jack-o-lantern. But there is nothing basic here! 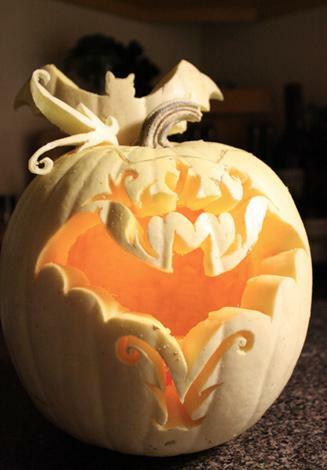 A fantastic bat pumpkin, notice that they used the cut out bat and scrolling to become part of the design – love the use of negative and positive space! 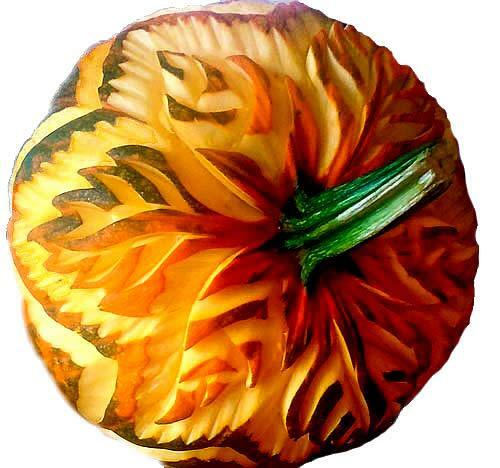 A carved pumpkin from Chef Carl Jones, what a great decorative piece for a holiday buffet! 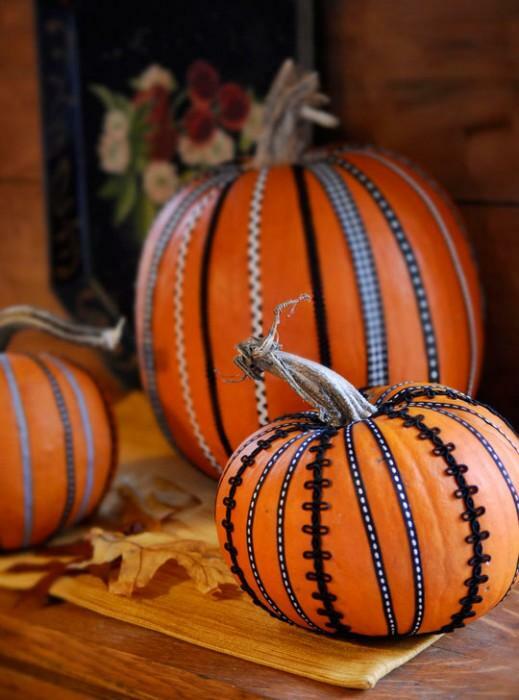 A great idea from Good Housekeeping – keep your pumpkin orange for Halloween and then paint it white and use Mod Podge to decoupage tissue leaves onto the pumpkin. 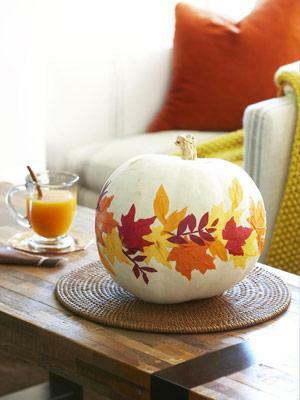 Your children could decorate with the leaves, very fun. 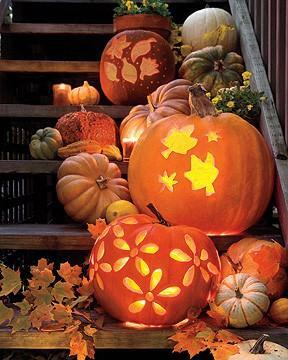 Remove Seeds from Pumpkin, discarding any that appear too small or underdeveloped. Clean seeds by adding water to bowl with seeds and manually removing the “strings”. Dry cleaned seeds with a papertowel or cloth towel to remove all water and remaining “strings”. 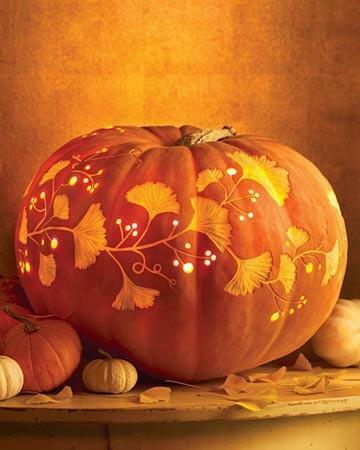 Add 1-2 Tablespoons of Olive or vegetable oil and coat dried seeds. Spread oiled seeds out on pan. Try to have one single layer, but not critical. Sprinkle with Salt, and if you like it spicer, add some cayanne pepper and/or hot/smoked paprika. Roast for approximately 10 minutes in preheated oven, and scrape seeds to turn over at about 5 minutes. When done, the seeds should be browned and slightly crunchy, but not burnt. Watch carefully during the last 5 minutes because they go from brown to black pretty quickly after heated through. After baking, remove tinfoil with seeds on it and shake into a bowl. If they appear oily then dry with a paper towel. 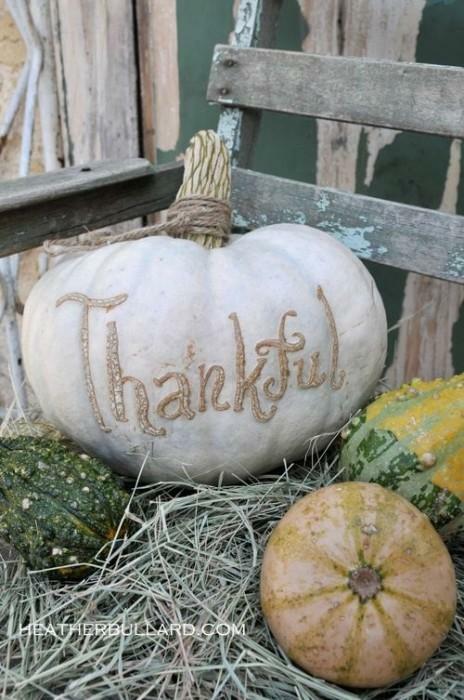 The years of pumpkin carving go by so quickly, don’t forget to be thankful for the mess and the love! Say YES to DIY Lip Balm – Fun, Easy and Healthy!